With our impressive movie-set game zones and state-of-the-art equipment, Delta Force has become the world’s biggest and best operator of paintball games. 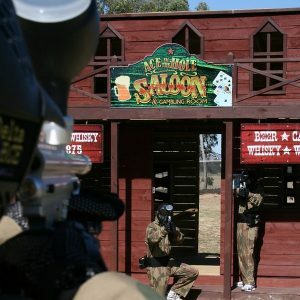 Now all Victorians can enjoy a day of world-class paintball action, which is the perfect activity for a bucks and hens party. 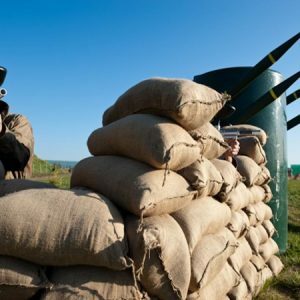 Send the bride or groom-to-be out with a bang as you enjoy a full day of paintball action at Delta Force Dingley, located only 30 minutes from the Melbourne CBD. With a variety of transport links and ample parking available, it’s never been easier to get your friends together for what will be the best day of the year… other than the wedding of course! 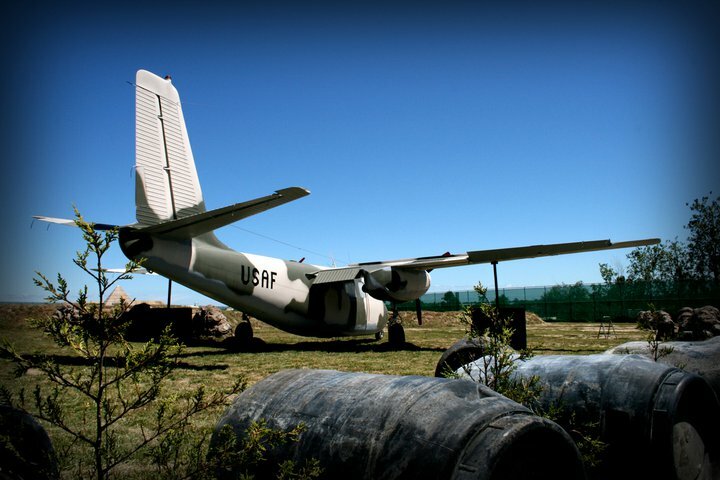 With two new USAF aircraft set amongst our world-renowned paintball fields, Delta Force Dingley will cater to your paintball needs. Whether you’re a paintball novice or a gung-ho pro, there is no other challenge quite like it in Victoria. You’ll also receive full-head protection goggles, a 0.68 calibre Inferno Machine Gun and a battle pack, enabling you to carry an additional 400 paintballs onto the paintball field. If anyone in your group is concerned about their upper torso, then we’ve got that covered too. With our custom-designed body armour all players can enjoy their paintball experience in confidence, giving your team the best chance at victory! 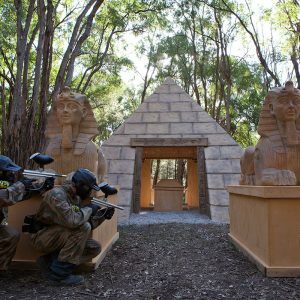 At our purpose built Melbourne paintball centre you will have ample opportunities to ambush the opposition. Be it behind the giant pyramid, the old mine cart or the bank that is situated in Dodge City. You’ll experience all of this plus more on your day out at Dingley. For a truly memorable bucks or hens party, get the guys or girls together and come celebrate the upcoming nuptials with Delta Force. We guarantee your day will be nothing short of action packed. Contact us today on 1300 850 744.